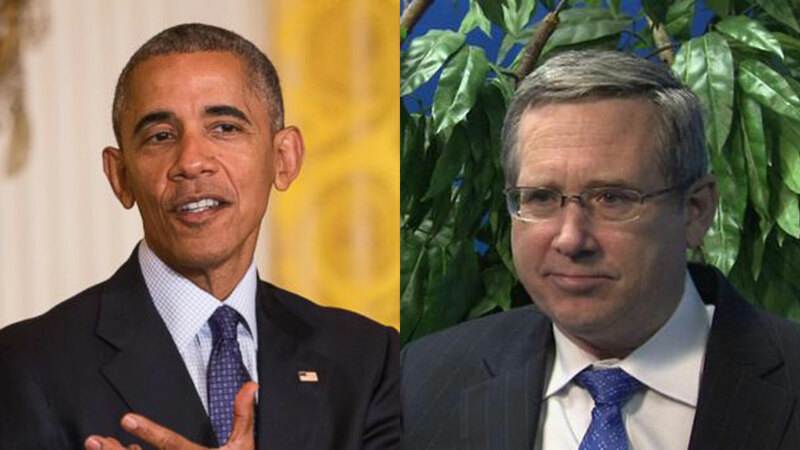 President Barack Obama (left) and U.S. Sen. Mark Kirk, R-Illinois. U.S. Sen. Mark Kirk, R-Illinois, said President Barack Obama is acting like "the drug dealer in chief" for delivering money to the Iranian government, according to a report by a downstate Illinois newspaper. The Republican senator made the comment during a sit- down last week with the State Journal-Register editorial board. The $400 million in case that the U.S. sent to Iran in January arrived the same day Iran released four American prisoners. The Obama administration said the money was part of a settlement dating back to 1979. The U.S. State Department did say that the cash was withheld as leverage to make sure Iran will free the prisoners. A statement from Kirk's campaign manager on says: "After misleading the American people on the $400M it paid to get our hostages back, the Administration is now attempting to change the literal definition of "ransom." Sen. Kirk believes the Administration's actions, which Tammy Duckworth has supported, were reckless in the extreme. The Administration's pay off will endanger more Americans abroad and is almost certain to fund terrorism." The campaign for Congresswoman Tammy Duckworth, who is running against Kirk for his senate seat, released a statement saying in part, "Senator Kirk's comments are misguided and deeply offensive ... He should apologize."